India Post has announced its full-fledged entry into e-commerce business, where it will leverage its parcel business for end-to-end delivery of products. “We have simplified decision-making process at Department of Posts (DoP) by setting up a separate parcel directorate. It can make quick decision on parcel rates and related provisions. India Post will leverage its vast network for e-commerce services for doorstep delivery of products,” Communications Minister Manoj Sinha told reporters. The minister also launched India Post’s e-commerce portal. Earlier, any decision related to change in parcel delivery rates or matching services of private players required approval from top officials, which was time-consuming. The DoP has set up parcel directorate which is free to take decision to match the competition. “India Post is open for registration of all vendors for e-commerce business. 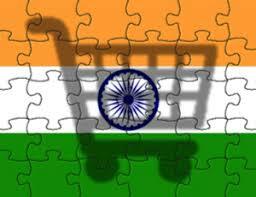 It will pick up products from vendor and deliver to doorstep of customers,” Sinha said. India Post has delivery network up to remotest villages through its 1.55 lakh post offices which no one can match, the minister said. “We will also facilitate return of products service like it is available for customers on other e-commerce platforms,” India Post Secretary A N Nanda said. Sinha said the department will strictly monitor delivery of products. “The credibility that DoP has built over the years is immense. We will suitably resolve complaints whenever we receive them,” the minister said.